You can book this package /tour by paying 25% amount now & 75% One month before arrival date. In this tour, you will be offered the opportunity to view the Dubai’s landmark that starts from small fishing village to vibrant city. With the hop-on and hop-off facilities one would fetch the opportunity to visit all the place of your interest. You can even plan to select a night tour with live commentary that simply illuminates Dubai in front of you. 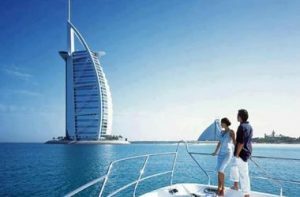 The day tour is integrated with option like 24 hours tour and 48 hours tour inclusive of other tours like Dubai museum and dhow river cruise, etc. The big bus offers departure in every 15 minutes if it’s on red & green route as well as 20 minute halt on blue route so that the valuable time do not get wasted. The ticket purchase of the Big Bus Dubai Tour is accompanied with the redeeming option. And this could only be executed if you would carry the credit card from which the booking was completed and by provide any identity proof. Dubai is known as the city of cultural heritage and is admired as the richest city in the world. This Big Bus tour destination is considered to be embraced with the historical monuments that place a significant role in tourist attraction. It will be amazing, if you would get an opportunity to roam about Dubai on big bus of Dubai. This is a fantastic bus that offers you wonderful ride all across the amazing destinations of Dubai and UAE. Big Bus Dubai tour is considered to be a comprehensive introduction to the city of Dubai. This tour is offered in two different ways hop-on and hop-off tours. This big bus is considered to be the jewel of the city. It is known to offer its service from Dubai museum to different popular beaches of the city along with the sight-viewing side to side of wonderful Dubai. This is tour considered to be filled with fun and frolic and is even admired as an informative trip. This bus is double decker bus which is integrated with a classic exterior of open top. The travel in this bus is simply amazing and makes you feel relaxed with the cool breeze. During the tour, you will surely like the open airy view and ride if you are sitting on top. And, if you are inside of the bus then you will be pleasantly surprised with its interior boasted with air-conditioner and heating comforts along with the informative commentary. You are sure to receive the commentary in 8 different languages which ensures that you do not miss anything. 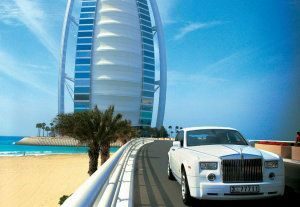 If you have opted hop-on and hop-off tour then you are sure to explore dine and shopping at Dubai’s major attraction. Truly, you are going to experience the site and other section of attraction of Dubai. Sometime, you big bus tour is accompanied with discount offer that would allow you free entrance to Dubai museum, dhow cruise, walking tour and Sheikh Saeed Al Maktoum’s House. We are really pleased to provide you with the fair deal for big bus tour in Dubai. As we really known that what would really satisfy our customer. 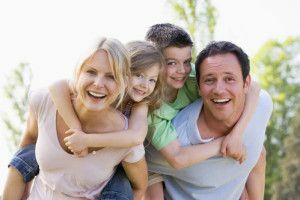 The tickets offered by our firm are accompanied with a number of free inclusions.And, could be availed by you just after contact our customer care service you are entirely responsible to loom after you trip planning.